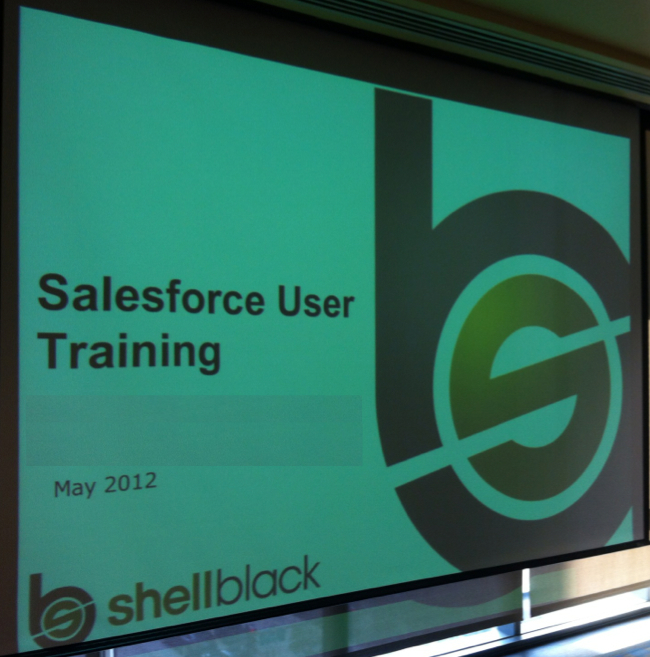 Strong user adoption has to be one of the key focus items when implementing Salesforce.com. If you fail in this area, the chances of having a successful implementation are slim to none – it’s that important. When launching your CRM be sure to get your organization off to the right foot with these tips on how to drive some Salesforce evangelism within your user ranks! When we conduct Salesforce training for new users in a sales capacity it typically takes 4 to 6 hours depending on which features in Salesforce they’re using (e.g. products and quotes can takes longer to train). Sounds excessive? Here’s how that time breaks down. About a third of that time is foundational information (navigation, search, best practices, tips & tricks, etc) with the remaining two thirds being hands-on “day in the life” exercises that reinforce the business processes relevant to their role in the organization (creating and updating records, logging activities, maintaining their opportunities, etc). It takes time, but forcing new users into the tool and having them do exercises that they’re expected to perform in real life helps with retention and sets the stage for success. We also encourage clients not to make training a “one size fits all” experience. Don’t make a bunch of sales folks go through a training session that contains marketing and customer support content. If you’re training users in different departments, break up the groups and keep the content relevant to their job role. Lastly, if possible do live instructor-led training in a classroom environment. If you can’t, remote instructor-led training using over the web is far better than no training or self-paced study. Most people don’t like change – it’s uncomfortable and people find it hard to modify their routine (old habits die hard). The key is to communicate to your users that this change will benefit them. For example, moving into Salesforce can make users more productive and efficient (which in a sales capacity can translate into more sales and commissions!). Salesforce should help them manage their day and make important information more accessible. Efficiency gains can be as simple as leveraging email templates for frequently sent communications, or scheduling a report to automatically run that they have to send out each week. I’m pretty adamant that configuring Salesforce should be like designing a website – you should create your page layouts with usability in mind. Keep page layouts clean and logical and data entry to a bare minimum. Leadership needs to balance the desire to track lots of information in Salesforce with the realization that for every additional field added to the page layout, overall data quality will decline. Users want to fill out what they needs to for their job and move on – it’s human nature. For example, sales is not interested in filling out a dozen extra additional fields on an Account record for marketing – it doesn’t make them more money. If you really want to have your users bang there heads on the wall, ask them for information that’s readily available in Salesforce. For example, don’t ask them to fill in a pipeline forecasting spreadsheet on a Friday afternoon in preparation for a Monday morning sales meeting. To avoid this mistake, if management is not willing to spend the time to get familiar with the Salesforce data model and the analytics modules (reports and dashboards), then hire a good Admin! Don’t sucker punch a user with a coaching session at the end of the month for missing an objective they can’t track on their own. Give users their own dashboard so they can monitor key performance metrics throughout the month. One of the best practices we try to instill in a company implementing Salesforce is to track the same metrics up and down the organization. If a KPI (Key Performance Indicator) is being tracked by management, and that KPI is impacted by users, that metric should be on a user’s dashboard as well.